Choosing the best WordPress business theme is always the difficult task. Not every people end up picking the best business theme for their websites. Web sites are for different purposes. So choosing the best business theme that suits your category is most important. Every single WordPress users think at least 100 times to select the best theme for their website. Some end up with the beautiful site and some end up creating the average site.After researching many hours and testing these themes I have shortlisted Top 10 WordPress Business Themes 2018 which you can buy right now. All these 10 premium WordPress themes below are not of average price. Some may come in the budget and some may be too expensive to buy. No doubt, all themes are good enough to feature in our Top 10 WordPress Business Themes 2018. So below the table here is the short description about all the top 10 themes. X theme has that potential to feature in our Top 10 WordPress Business Themes 2018. This theme has great features to ensure the best performance out of theme. Although it is priced low as compared to other themes on market, this theme offers the sufficiently great feature for the price tag it has. In this review, we will talk deeply about each feature along with pros and cons of this theme. Is this best WordPress business theme 2018? Finally, this comprehensive review will help you to identify whether it is or not. The latest version of this theme is 5.1.0. I will explain precisely about the changes made. In its latest version, it has included responsive typography. Clicking on typography tab in theme option would access you to the Root font size section. Using these options, you can specify a root font size for your website at each breakpoint. There are two methods of responsive typography you can choose from in the theme options—stepped or scaling. Stepped specifies a root font size at each breakpoint. Scaling specifies a minimum and maximum root font size to be updated over a viewport range. So the word “responsive typography” is added in latest version. With increasing competition with other competitors (say divi), it has put some impressive features in the theme. 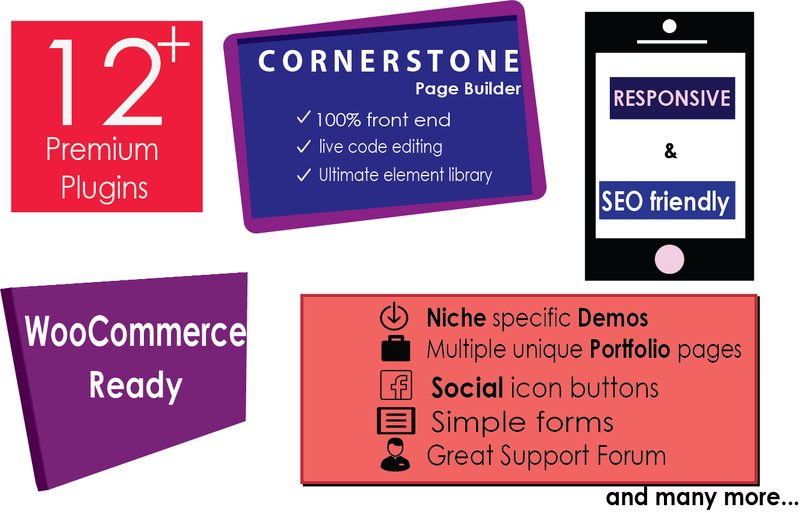 Cornerstone page builder has always been the attractive page builder. Cornerstone is 100% front end.Text editing on the fly helps you edit the text in front-end. Other feature includes compatibility, live code editing, and ultimate element library.Everything is fine but this page builder works little slow as compared to Divi’s page builder. It offers a lot of free premium plugins. The free premium plugins include the Visual Composer, snippet, email forms, Woo check out editor, Uber menu, Soliloquy slider, Essential Grid, and others. Not only this much, it includes Facebook comments, Revolution slider, analytics integration, and more. These tools save you from spending more than $1000. Next, lots of demos are available with one click import option. Niche specific demo is icing on the cake. Completely unique designs at the push of a button called ‘stack’. The stack, being part of the powerful framework, is simply the theme within the theme. So it has four stacks. It has no problems with the design. Support is next key feature of the X Theme. Answering only is not the key but solving the problem is always important. As a part of the research, I found that over 90% of the users are satisfied with the support team. This is always key. But the support lasts for 6 months from the date of purchase. Responsive, fluid design, mega menu, multiple unique portfolios, Ilightbox, SEO, and a lot of other features. To be honest, this theme doesn’t lack anything. Cornerstone page builder, stacks, responsiveness, niche specific demos, the number of free premium themes help this theme to be one of the best themes. In case you get any problem there is always support team to help you. You require the little knowledge of the programming language to use this theme. Again I repeat cornerstone is not the fastest of page builder in WordPress platform. Incase you are in a hurry, you can have a quick glance at pros and cons of this theme. little difficult for the user if they don’t have knowledge of coding. Sometimes bugs might trouble the users. So, this was the first premium wordpress theme to feature in Top 10 WordPress Business Themes in 2017. 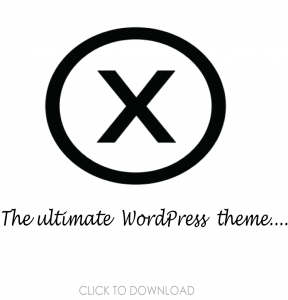 One thing I can say the common thing between the X theme and Divi is “the ultimate WordPress theme”. Jokes apart. So Divi theme is next theme to feature our Top 10 WordPress Business Themes in 2017. Front end Visual editor of Divi is an absolute beauty I must say. Elegant themes track record has been great since its establishment. From support to customization, it stands top in every aspect. There are pretty more elements. You will enjoy using this premium theme. Where it lost its way to being the 1st best WordPress business theme 2018?We will discuss each and every feature of Divi theme in depth. It has draggable width and height feature. No doubt, Visual Page builder has responsive editing option available. Inline editing is next good feature it provides.There is about 20+ pre-made layout which helps you to jump-start the page building.Not only front end editing option but you can switch to backend editing too. I think after reading the visual front-end page editor you might be little curious to know the features of this beautiful theme, Divi. So without wasting time, here are the features of the Divi. Great visual front end page editor. As explained above, it includes real-time design, click and type, responsive editing, 46 content elements, import and export of layouts, zero loading, and 20+ pre-made layout. Integrated split testing and conversion rate optimization system that includes smart split testing, powerful stats, and insights. 36 elements that include a call to action, portfolio, email optin, pricing table, shop, social following, and lot more. Design toolkit that includes 20+ layout templates, and sharing and downloading the templates from the community. Dedicated support, amazing community, and unlimited sites with a single license. Translated into 32+ languages that include French, German, Spanish, Chinese, Japanese, Dutch and others. Rock solid security partnered with sucuri.net. 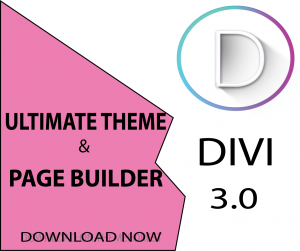 Divi theme is best when it comes to design, user interface, and customizability. Its front end page builder is world class. Every beginner finds it easy to use this theme. Though it contains 20+ pre-build templates, the demo is always essential for building great websites. Divi contains demos but not much niche specific demo. Not more free plugins and extensions are available in this theme. But rest is fantastic. the one with little or no knowledge of coding can easily use this theme. Jupiter is the 3rd theme to feature in our Top 10 WordPress Business Themes 2018. Jupiter is designed and developed by artbees. The artbees is the independent digital company specialized in WordPress themes and plugins. This theme has a great credential to feature in this list. We will discuss minutely what feature makes this theme very special than others. Is it the best WordPress business themes in 2018? 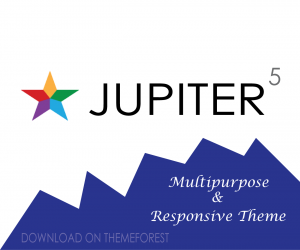 Little confusion but you will find the proper reason after reading this review of Jupiter premium WordPress theme. The latest version of Jupiter is 5.9.4 which was updated on June 12, 2017. Only one new feature has been added i.e, layer slider and slider revolution is updated to latest version. Rest includes the bug fixes. Typography setting migration issue has been fixed. Major changes took place in the version 5.9.3 which was updated on June 2, 2017. It brought many new features. The new feature included adding of unlimited font families, icon selector from shortcodes, Video Player element in lightbox style, lazy loading image option, and more. Bug fixes were also made. Add to cart was made visible in catalog mode was one of the bug fixes. When I was performing some testing and research on this theme, customization was awesome. Design and templates were awesome. Many users might not rate this theme that high but it is a truly great theme. Online shop, drag and drop builder, responsive, SEO optimized, Typekit integration and lot more. Jupiter theme is famous for its customizer and design especially. There are about 140+ templates which make easier for the user to create their website. It is flexible too with great customer care support. But in the age of front-end editing, it may be outdated for some of the users. Sometimes bugs trouble the users. It has fewer demos available. Rest works fine. 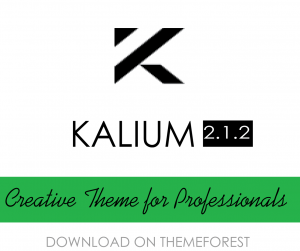 Kalium is the deserving theme to be in the list of our Top 10 WordPress Business Themes 2018. Labarator is the author of this beautiful theme.The theme we are going to discuss is kalium which is derived from the name of element ‘potassium’. Kalium’s latest version is 2.1. Current update will introduce you to some of the great features which will push the code structure towards the new future of template hierarchy and WP hooks. Kalium is fast, more secure and simpler to extend and customize the child theme.New functions are also being introduced.It is PHP7 compatible. The Recent version also supports custom sidebar. New Blog structure has also been brought in this update. The blog has been re-coded with scratch aiming high performance. Blog templates are structured with WP hooks. API functions can be found but can’t be overridden child theme. The important thing here is that if you have overridden any blog page template in your child theme before version 2.1, those will not replace the new blog templates. Few of the bugs are also fixed in this version.One of the bugs fix was-“cannot update Visual Composer or layer slider”. Similarly, longer time loading was also fixed. Featured in 8 different awards. Kalium, derived from potassium, has been able to win the hearts of many passionate developers. It has been able to provide great customer support. Design quality, customization, flexibility, and documentation has been fantastic. It is also easy to use. It would be my personal recommendation to use this theme for your site. Another theme in our Top 10 WordPress Business Themes in 2017’s list is BeTheme. 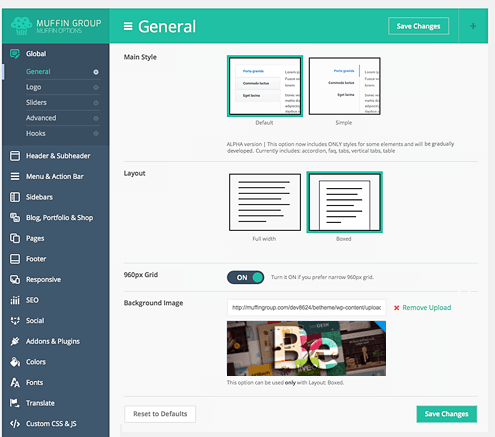 BeTheme is theme by muffin group. Muffin group started creating the theme from 2011.The latest and most famous theme from its 15 items is BeTheme. Muffin group has been able to feature in Authors hall of fame in ThemeForest.So this was all about the author. So what credential it has to be the best WordPress themes 2018? why has it been able to sell 70k+ themes? You will later find out after reading this comprehensive review of this theme. 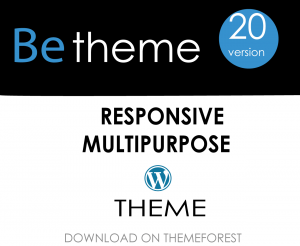 BeTheme’s latest version is 20.3. The current version is compatible with WordPress 4.8 and WooCommerce 3.1. Many things have been added, improved and fixed. The blog page is ordered by (date, title, rand) and order(DESC, ASC) was the latest addition. Similarly, RTL Visual Composer and stretch section was fixed. In version 20.2, open graph image field was added i.e facebook share image. So these were the changes brought. one click premium plugin updates and auto theme update without installing the further plugin. 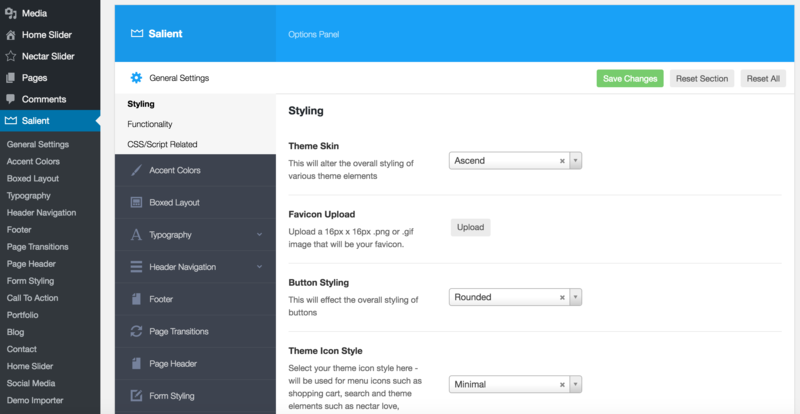 BeTheme has every features that a theme needs. It has child theme included in theme package. Header styles, prebuilt sites, and layouts are included. It has two-page builder: Muffin Builder 3 and visual composer. Both are easy to use. Built in translator and RTL ready make this theme accessible for every user around the globe. Great customization and design quality are another aspects to talk about. Great theme by muffin group. The7 is another great theme in our Top 10 WordPress Business Themes 2018. No any themes that feature in top 10 lists are worst. Some theme may lack something but every theme is great. The7 is a theme by Dream-Theme: an international web designing and development agency.Starting from the Gothic dream it has 23 items in ThemeForest. Dream theme has also been able to feature in Author hall of fame. What does this premium WordPress business theme have? Why are people buying this theme? Is this best business themes 2018?What are its features? You will find out shortly. The7 was last updated to version 5.3.1. In this update, new “corporate” demo has been added. ru-RU lang file has been updated. Similarly, bugs have also been fixed. One of the bug fixes was fixing of checkout page of WooCommerce. Also in the contact form, the errors were fixed regarding exclamation marks and check marks. Default button shortcode responsiveness was improved. So this is all about the newest update. Honestly speaking, to get this theme for such a low price is just luck. 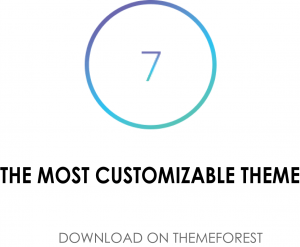 In such low price, you will get 6 premium themes. Yes, 6 Premium themes. This is very attractive to users and why not. It has many niche specific demo, great design and great integration with other plugins. It has easy to use theme options.If you don’t want to spend much on a theme or if you have low budget then this theme is for you. As usual “bugs” are the enemy of every theme developers. While updating the theme from older versions, sometimes site do break which may spoil hours of work of user. But there is always support forum to fix the bugs. I am huge fan of genesis framework. From design, layout, customization, and responsiveness to speed, everything is spot on. But the thing is this theme costly as compared to others. You will get unlimited license and life time updates. The support forum is always when you are in trouble. The best part of studiopress is Genesis framework and without this framework, every studiopress’s theme is incomplete. Though premium plugins not included, theme designing is world class. 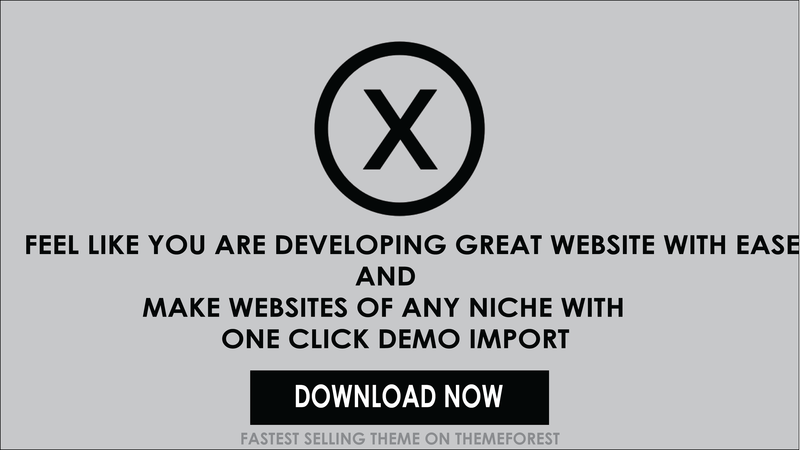 If you have enough money to spend on and if you want a high-quality site, then this theme is for you. 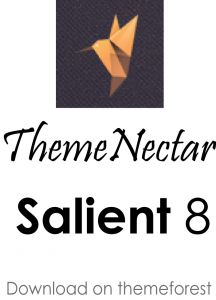 Salient- a theme by theme nectar is one of the best WordPress theme. It is only theme by theme nectar. I don’t know why they are not coming with new themes. Anyway, theme nectar was weekly top seller. They are million dollars theme. So it wouldn’t be false to say it is one of the best WordPress business themes 2018. So what makes this theme trendsetter?What makes this theme worthy? Is this theme worth the price? Here I will discuss minutely each and every feature of this theme. The latest version of Salient is 8.0.15. Not more changes have been brought in this update. Just one addition i.e, the addition of WooCommerce 3.0.3 compatible. Drastic changes were brought in 8.0.1. One of the changes includes an update of color selects in salient Visual Composer. Other additions were: addition of responsive tab into typography option, the addition of header navigation mobile break point, etc. Rating of this theme has always been high. The reasons are features it provides.Customizable, design, feature availability, support forums, and rest other options are spot on. These features make this theme worthy. Bugs has always been problem for every theme. But when you have great support forum, bugs are nothing. Unfortunately,more premium plugins are not included.Salient VC is a great page builder. Salient framework and 150+ templates are icing on the cake to this theme. 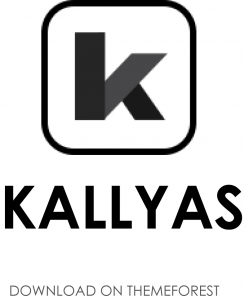 Kallyas is a premium responsive and multipurpose theme by hogash. Hogash first came with kallyas-gigantic premium template. After that kallyas theme was released. Its recent release was vivid PSD template. Though number 9 it has enough features to be the top theme. This theme is multipurpose, which means this theme is for every user of different fields. Is this theme for you? Let’s find out. Its latest version is 4.14.1 which was released in June.One feature was added in this update. Option to select image width for recent work element was only feature added. Some improvements were made on sub-header. Many bugs were fixed. One fixed case was RTL issues. Previous update 4.14.0 added one major feature i.e, option to validate by alphanumeric value in contact form. I won’t talk about older updates right now. You can find all of the updates in change log of the theme. When you see only features above, everyone can say this theme is great. Every theme will seem great if you judge them by features only. So in ThemeForest “Never judge theme by its feature”.No doubt, it has great features, many niche specific demos, quick support, smart loader, Booststrap3 framework, and great documentation. In fact, bugs are slowly killing this theme. There are many questions raised on quality of coding. Sometimes support are messing up user’s hard work. What are the features? Is it still best WordPress business theme being number 10? How will it perform? Your queries will be cleared after reading the comprehensive review of this theme. Recently about 1 months ago, full pane bought new updates (version 1.9.5). Not drastic change made but few things were upgraded and fixed. The framework was upgraded from 1.9.4 to 1.9.5. In previous version 1.9.4, site logo option was visible or simply fixed in customize panel for iPad and mobile layout. Fixing also included a proper display of Gallery title in the light box. 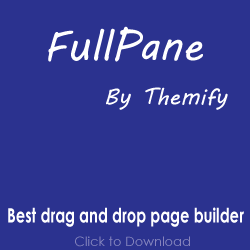 Includes drag and drop themify builder which allows you to build and edit page layouts. Above all, Themify is a great theme with real design, great customization and great coding. Though it has less feature available than other themes, it is a simple and powerful theme.One thing must be clearly understood- after purchase of this theme you can only have access to download, support and access for 1 year. To have lifetime access you must be master member of this theme which is more than the usual price. Also you can use this theme for unlimited number of site. This theme is simple and powerful.Infact, it has 30 days refundable policy. youг gгeat writing due to this problem.